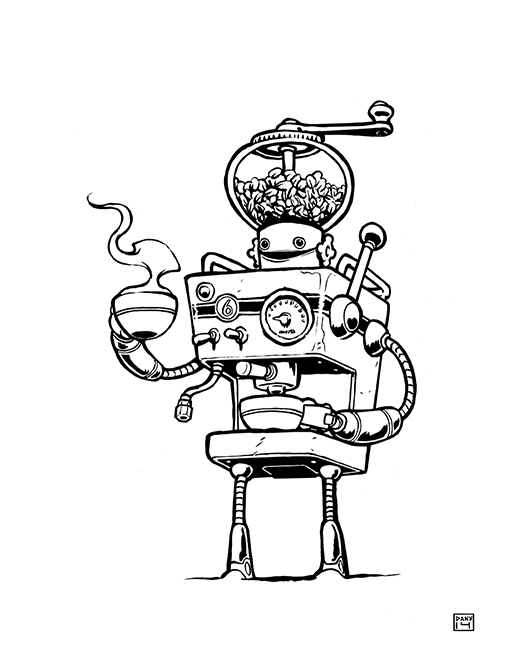 Stuff I Drood: Coffee Bot Prints Available !!! Coffee Bot Prints Available !!! I have partnered with Beans and Bacon screen printing studio to bring a limited run of coffee bot prints including some limited edition coffee stained prints .check them out !